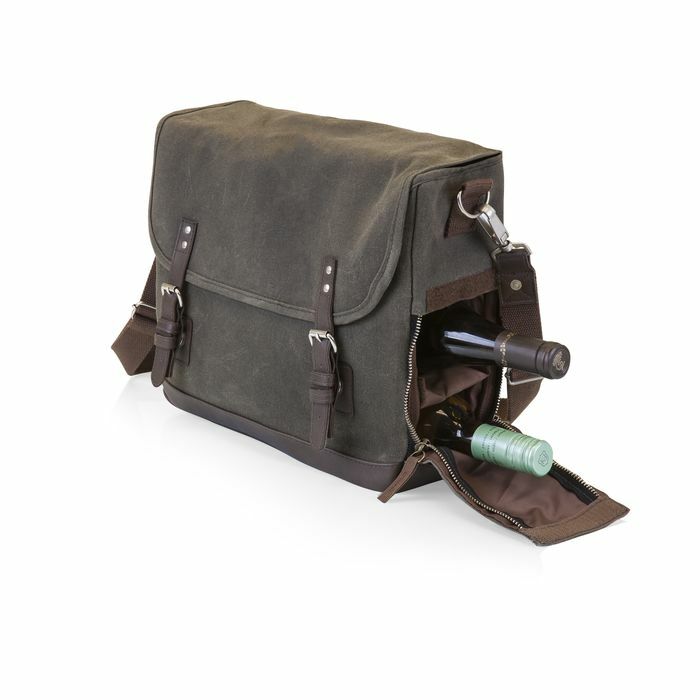 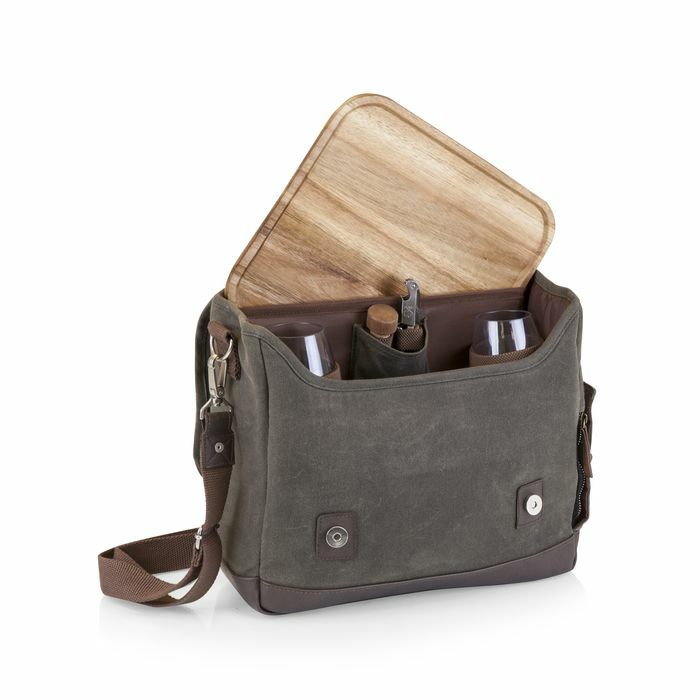 Insulated double wine tote with deluxe service for two. 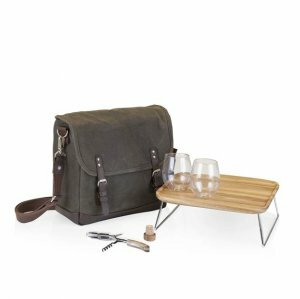 Features a portable acacia table 11" x 11" x 16", and secured side load wine storage. 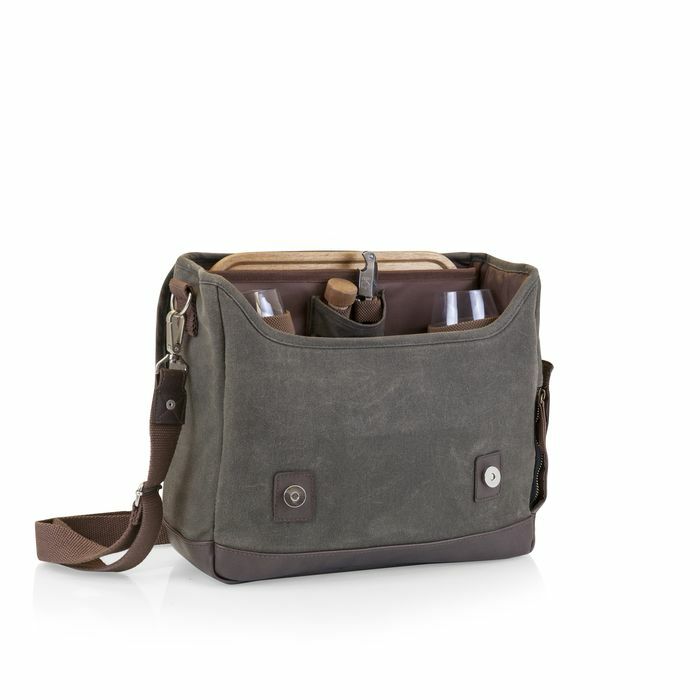 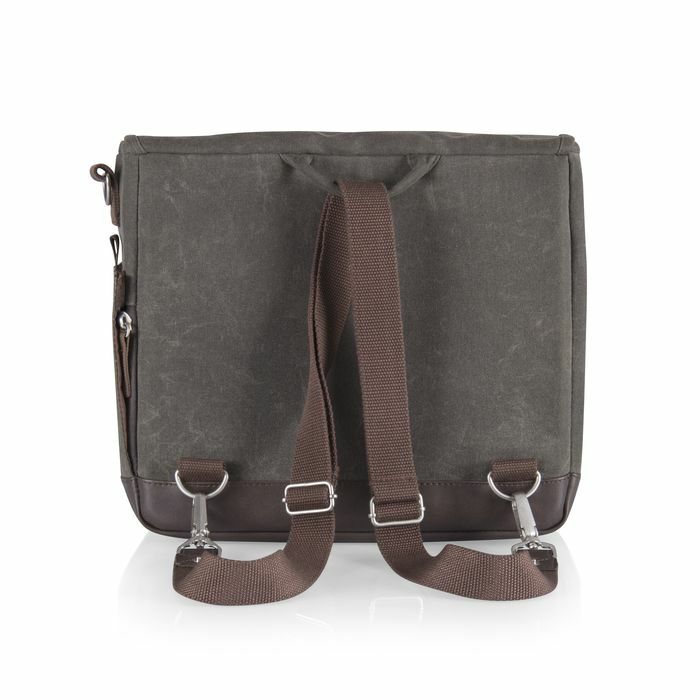 Shoulder strap converts to backpack straps.